On this day, he was like the tent of Libyan leader “tent pride and dignity tent Arabism and honor and pride” was mounted in their own house. America and was erected with all the meanings of manhood and honor, pride and humanity. 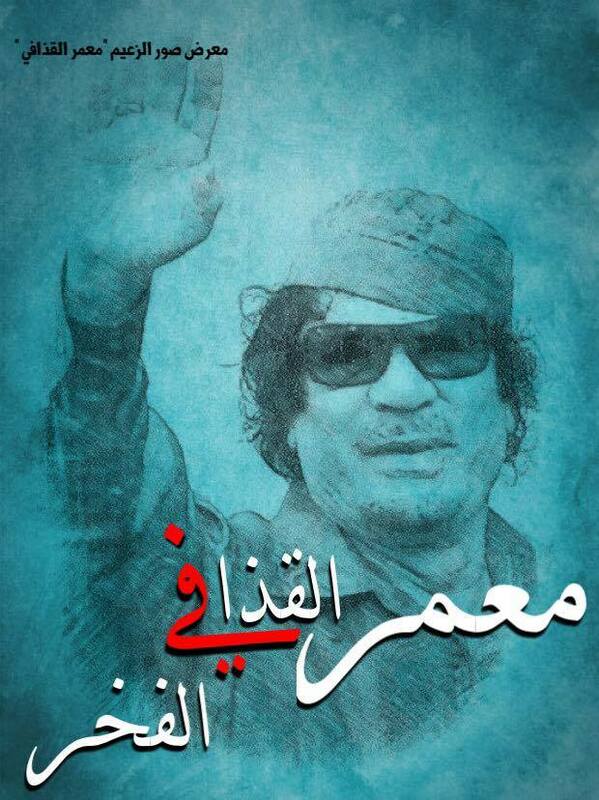 Where he gave the leader Muammar al-Qathafi’s historic speech, reveals the truth about the UN and how and manufactured and come on the basis of all the ills of nations in the world. 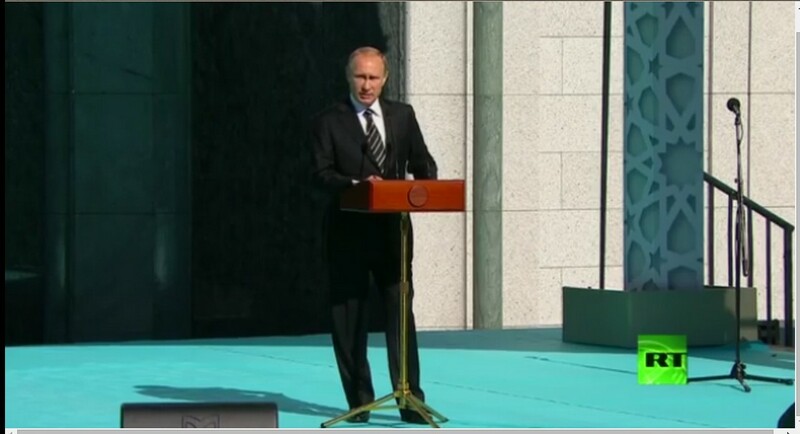 From this historic speech or historical statement was the beginning. The beginning of the collapse of imperialism, and al-Tobeiih Thalth to engage in a global war against the imperialist Zionist coalition (which aspires to control the entire globe). 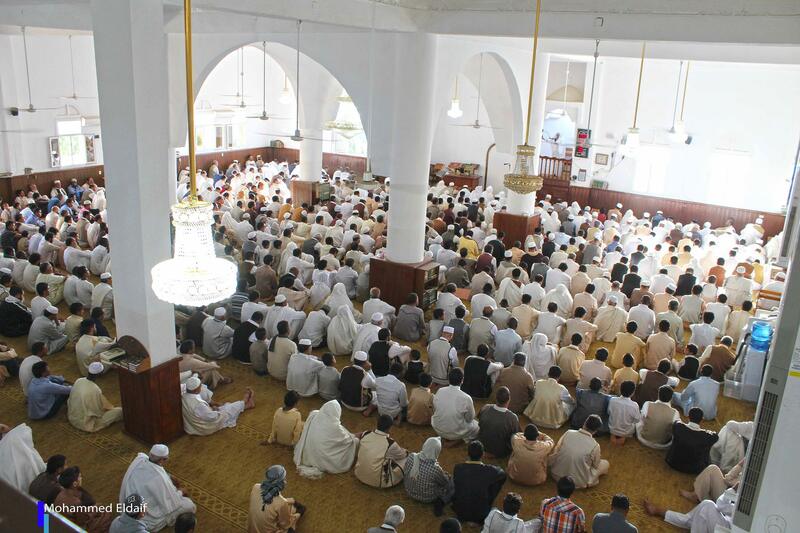 Khda today on the day of Arafah which pray and forgive the al-Dnob answered …. Together to call on the nation and the prisoners and martyrs. 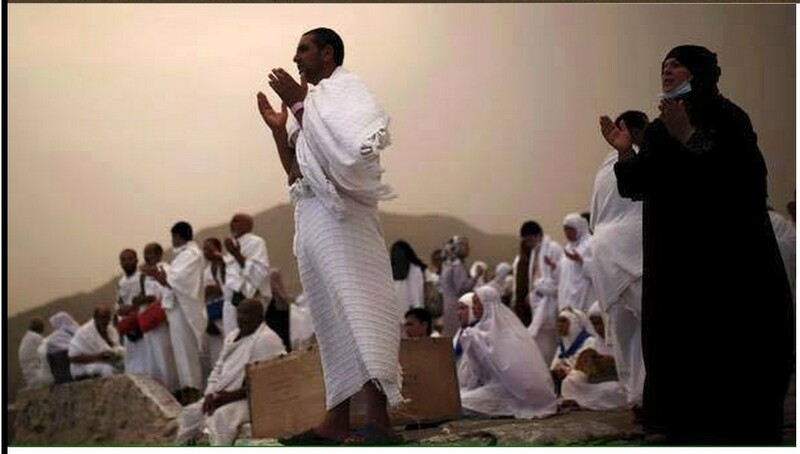 Oh Allah, we invite you, in the day of Arafah, my father made the forgiveness of the Danube and the answer ..
Oh Allah, we invite you to pray the number of hands that raised on Mount Arafat. Beck Beck .. Oh Allah, Beck is not a partner for you to pick .. The praise and blessing to you and the king ..
is not a partner for you to pick. ‘Room Zintan operations’ a ajouté 2 nouvelles photos. Mount Arafat to stand on the eve of the opening of the Great Mosque in Russia in the presence of Russian President Vladimir Putin, who stressed the support of traditional Islamic values ​​to counter the spread of extremist ideas. NATO did not say. It was not mentioned at all birds al-Obabil. It has the proof and fishing in troubled him that puts us proof or shut up. Instead Find Atraat confrontation and arguments to say the least it is ugly. We had good and kind word as Nusbandk and let alone praise the name of the war, and al-Mhajah Venice this talk ! I do not think that you are not able by you or someone else. “Oh addicted clean page from algae Farrukh buried …. dimensions and Dhalhm Sheikh Tahir is not the Sheikh, who said Ababil birds …. 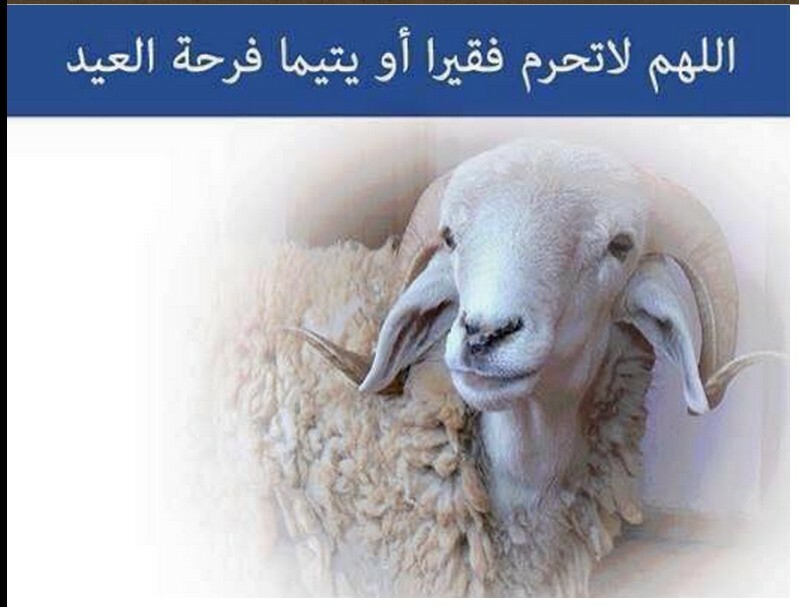 but they just said they saw someone Ababil birds Dfuha in Sheikh Tahir for the purpose of distorted, because they Mahrouguin him (because he is the first one who came in February 16) and mopping Bmqboarham what he said (chicken Bovfilh) and told them (Saif dreams give him gland Angdh) ….. oh addicted broad insect Hadi and what silences and Amsham Farrukh dogs. A major theft carried out by the ‘government Ghwell’ which gives financial authorization indifference of the ‘Central Bank of Libya’ with a total value (495 849 529) four hundred and ninety-five million eight hundred and forty nine thousand five hundred and twenty dinars to change money. The ‘Ministry of Higher Education’ and ‘Scientific Research’ are also involved in this phantom, to cover the ministry required by the present circumstances, by the requirements of government !!!!!!!! My brother citizen noted that the amount under Bnz other expenses means theft under the guise of education !!! 60 thousand citizens of Libby Tawergha and Aynah and Riyaanh and tempered a drawer and in the Diaspora camps lacked even the price of a loaf of bread, medicine and baby milk. And the suffering of thousands of women and men living in the dark prisons of the scourge of torture and humiliation. And suffer the approximately two million displaced people forced out of the country in a severe and deplorable conditions. Not to mention the fierce battles taking place in the country’s east and west and south with all kinds of weapons. And control terrorism on many cities. I do not know about any victory lifted up his grades holiest sites. Is not it better for supplication to Allah and praying to him and ask for forgiveness and repentance humbled hearts instead of pictures lying and hypocrisy. Entry tanks now in the middle of the corner neighborhoods belonging to the rival militias. Reports of clashes inside the city corner. 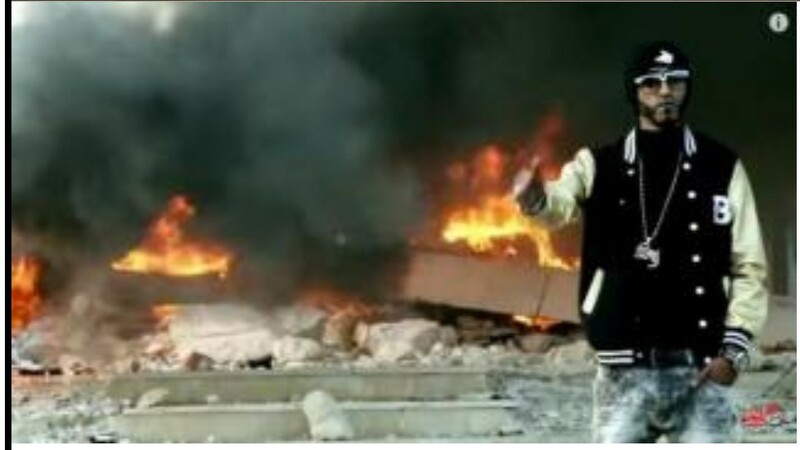 Violent clashes between the militias and al-Hanih al-Khadrawi. street life and street conviction and street beauty between the corner gangs of al-Khaddraoa sons and sons al-Hanih. and killing of a number 9 of the rival gangs and the death toll continues to increase and a large number of wounded and burned houses and fleeing families of clashes sites that broke out in the evening to now, all kinds of weapons. Clashes are still continuing between the warring al-Melcaat so far, leaving dead ‘Bin football family’ and a number of wounded, and closing of ‘Gamal Abdel Nasser Street’ and ‘Omar Mukhtar street’; total shut down of shops in the city. and, announce its withdrawal from the fighting axes. Orchards surround the clinic corner medium weapons from militia al-Khaddraoa after the arrival of the injured members of the militia al-Hanih it. 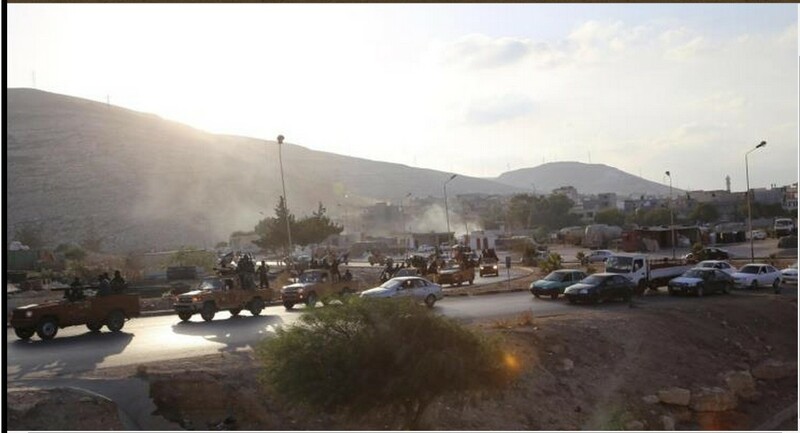 al-Guenadh spread on the roofs of the buildings and the hospital and clashes continue and widen more inside CORNER. Ali Hospital militia control of the corner with the medical staff and to prevent the escape of wound militia competition from entering the hospital. 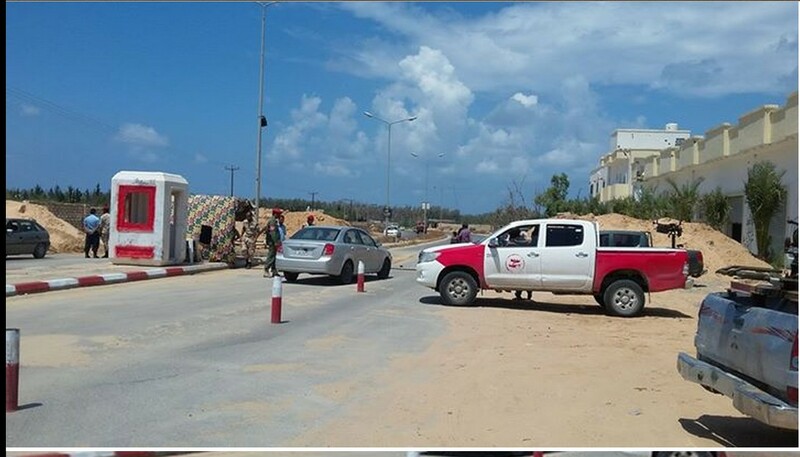 As the Tunisian authorities for the return of wounded personnel angle injured in clashes today were taken to Sabratha hospital now. There is no power but from Allah←← death – ‘Mohammed satisfaction Fetouri SKG’ – after being shot at random afternoon clashes corner area was transferred to Tunisia and died on the way. ‘Children Hanish’ controlls now the CORNER HOSPITAL, and threatens to burn it ! The displacement of some families because of clashes in the city CORNER. Currently news of renewed clashes in the Omar al-Mukhtar Street and after injury and destruction of residential apartments located near the scene of the clashes. ‘Militias called Abuabadh al-Zawa’, hack into certain subsidiaries homes for children at the ‘Hanihbmedinh corner’, and also demolished the home of ‘Abd Aghaffar al-Khaddraoa. Initial news of the killing of the brother of al-Khaddraoa is confidential. Kadivh fall on the corner of Park and the park caught fire. Burning and demolition al-Hanih families and the demolition of the house of one Abdul Ghaffar el-Khadraoui leaders Brigades corner houses. 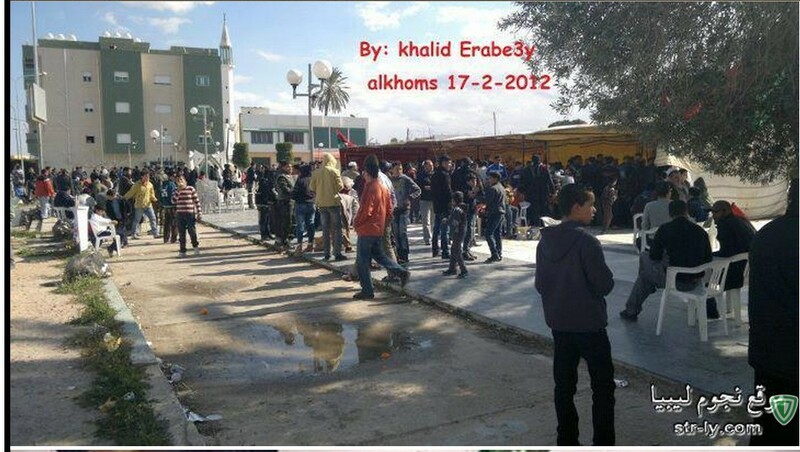 The killing of Hamza Chaoui and Mohammed Abdel Samie wolf in clashes CORNER. al-Melcaat terrorist rival in the city using tanks in the CORNER now ! 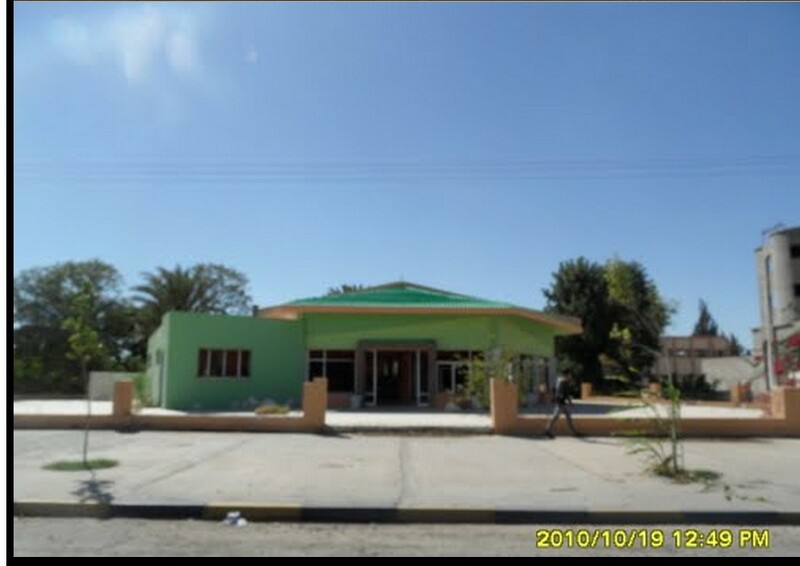 Destroyed ‘the hospitality restaurant and coffee house’ at the CORNER in ‘Abu Derbala’ (situated on ‘Contentment Street’). CORNER militia stationed in tourist area of ‘Ghargharesh’, trying to go to the city CORNER to access the line of engagement. God willing, some of them Akmilo. It happens in Tripoli tonight ! and on the back he has kidnapped the nephew of Colonel Husayn Hasin Hakh who aired skeptism about the ‘Brotherhood Armor-central shield’. .
Military and cars belonging to militias from Misurata roam the streets of Tripoli, and they are arresting the Nawasi militia deterrence and shared cars and vehicles of the so-called ‘Ministry of the Interior’, have kidnapped their drivers. Hear the sound of an explosion in the vicinity of the Airport Road. Allah, your day Dear Citizens. Tripoli did NOT defend as much as, we defend the legitimacy and capabilities of the country; and for ourselves, until this legitimacy, and stood on her feet, and that was the goal. Talk about Tripoli and Rixos, is for its people; and we are not willing to engage on these things, but wait days, and you’ll see what dazzle. 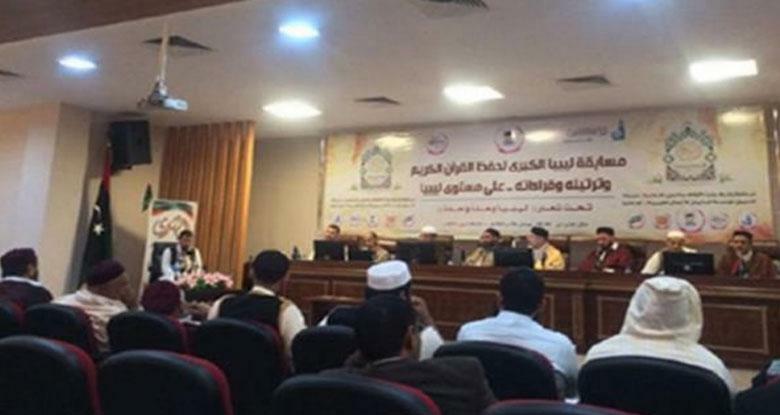 As a result of the Qur’an competition which was held in the ‘mosque of conquest’ (or ‘Jersan’) where you get the city of Zintan sons and thankfully the first place in all aspects. ‘Directorates support directorates of the Western Region and the Security of the South Commission’, “the 200″ a ajouté 2 nouvelles photos. 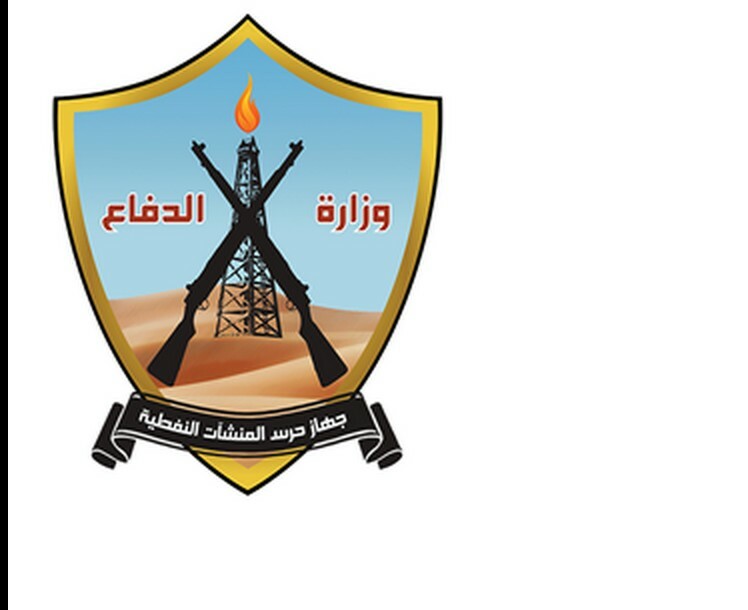 ‘Directorates support the Security of the Western Region and the Southern Power’, to arrest one of the criminals who stole the amount (55 thousand dinars) from one of the houses. It has been mentioned by the offender to exploit the absence of the family, after they left the house; and smashed doors and tidying up and steal the said amount of money ! and I did do that you entered the prison and will be punished as a result of this crime. and after a short time, and days, a few came to the knowledge of the offender; and the warrant for his arrest, and after interrogation, he admited that he was assigned to to comit his crime. He has, as a result, been entered into prison. Criminal Akkla Gianni Gneoh (el-Mahdi Haratine) killer .. The murder of a young man with the identity of the city of Zintan, called “Mohammad Mukhtar trunk”, on the first day of the blessed Eid. 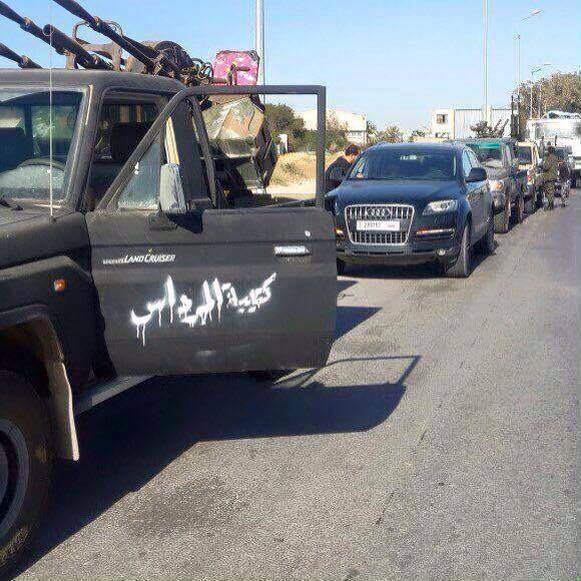 Gunmen belonging to the inventory Gneoh (el-MAHDI HARATINE) kill citizen Mamed Aelchenth al-Zentani in Tripoli. Armed battallions trace the offender, “Ghani Alkkla Gneoh” (el-Mahdi Haratine). 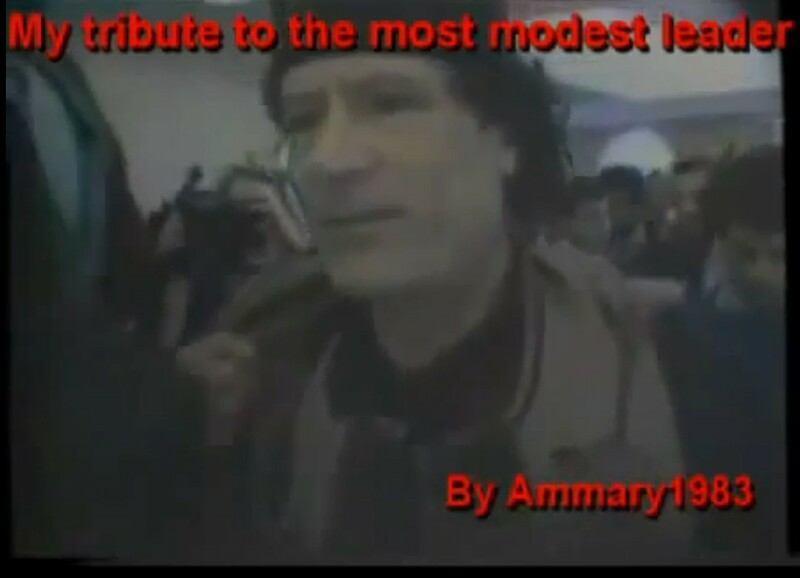 He liquidated a Libyan citizen in the capital of Tripoli because of belonging to a tribe of Zintan. 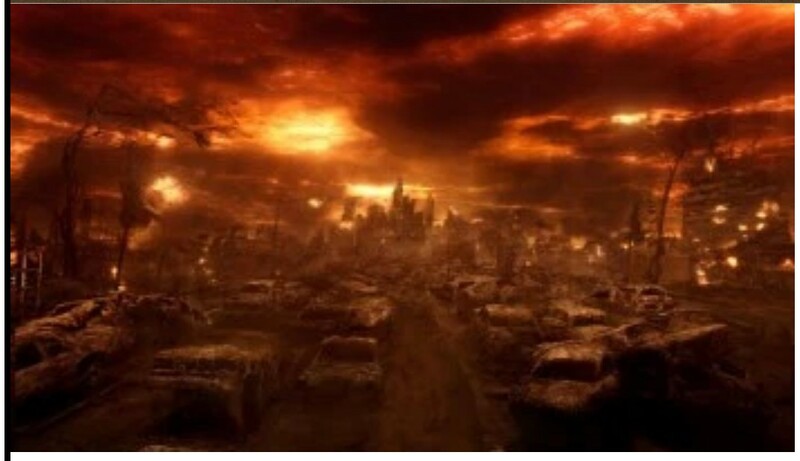 Day to you in this life and the fire of hell in the afterlife, Allah willing. 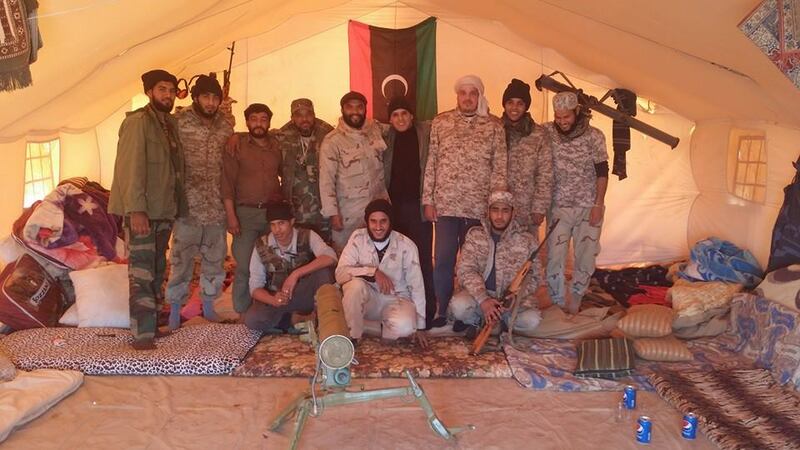 and after the agreement with the militias of Misurata (!!! 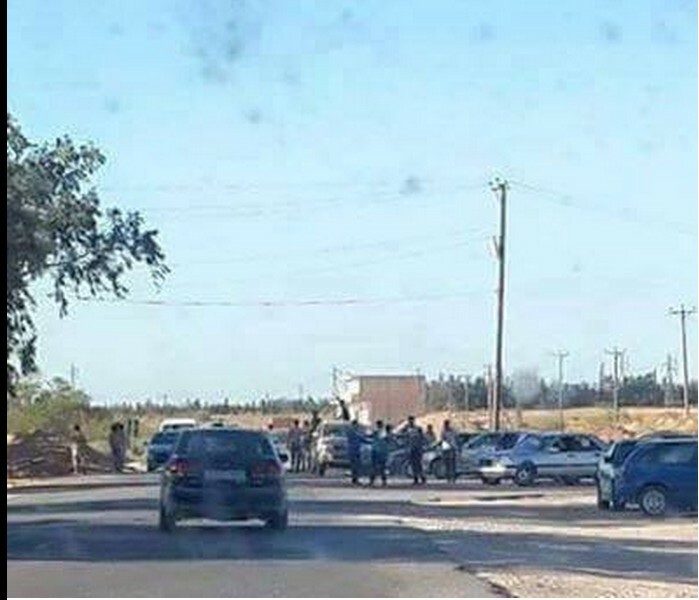 ), Judge withdrawal of all troops from areas within Rishvana, and control is handed over to military police (as assigned by TOBRUK). Back force members support the military and members of the city of Surman to the city after an absence for a period of months. Then came his video, which vows Zintan and vows, along with Rishvana’s vows as shepherds, and the vows of arrows …. but this reached its insulting point even on Snao of him a man ! It is in the hands of Allah Almighty. (self-esteem) Of a lesson learned. Inventory assassination Murad lifted one Jardan calculated on Asbi’a today. Note that he was stationed in one axis or Shusha South AJEELAT. ‘The Municipal Council of the City of Five’ announces suspension of its assault against the backdrop of angry citizens, so announced ‘Ali Bashir Hanash’. The Municipal Council closed the headquarters of its Council, until they can give-in to their constituents, their demands to provide salaries. 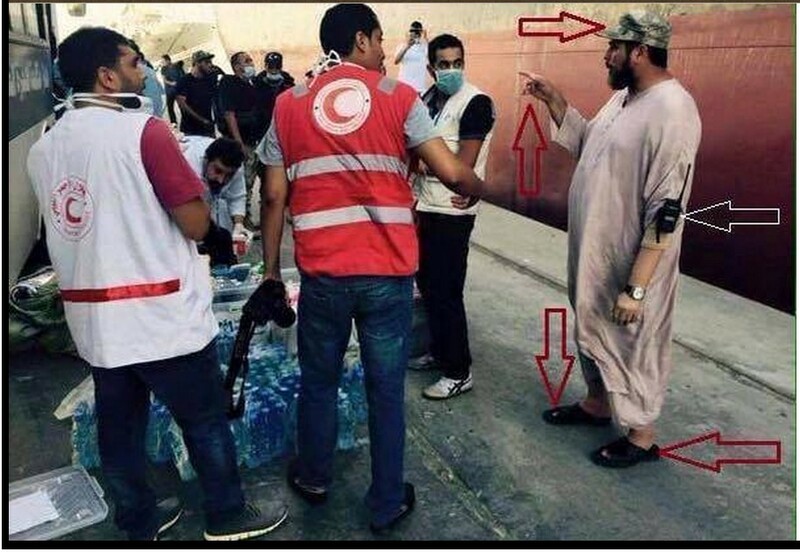 Resident of BANI WALID out since morning and no longer his home ..
A security official in the port of Tripoli gives guidance to crews in the Red Crescent !! Why this brutal war on the tribe Moroccans ???? Because the tribe Moroccans, Almighty cohesive tribe, with their children’s rights, and against military rule over Cyrenaica and the dreamers chair. you Ataid perished on the day of Eid. ‘Daash’ in Sirte imposed on shopkeepers close their shops to perform prayers on time. Not deal with women without a male companion, and they must wear the Islamic hijab in the street work and public places. 6 Nice and Mohammed forms. 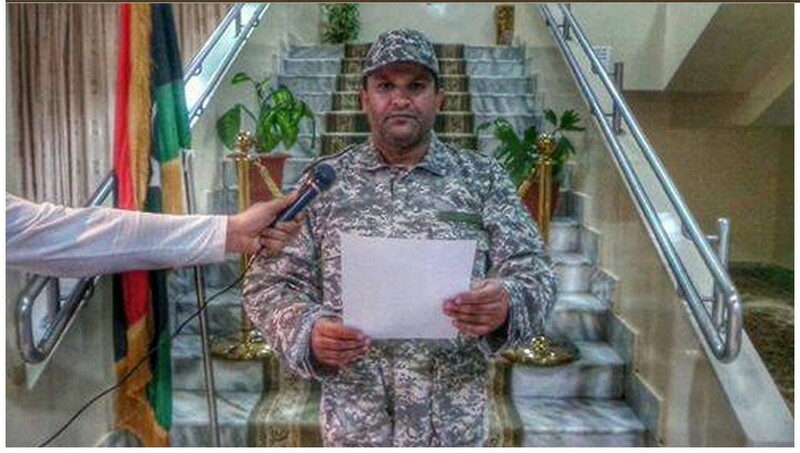 ‘Nasib al-Rqiei’ was assassinated from ‘Oil guard Installations’ service. ‘Daash’ terrorist organization claimed responsibility for the assassination of Nasib al-Rqiei carried out by the organization in one of the security detachments. 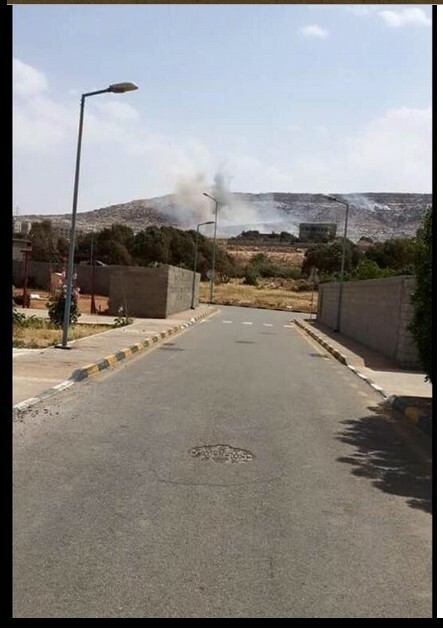 Violent clashes in Boatni, Laithi and Parwa el-Safcefh. 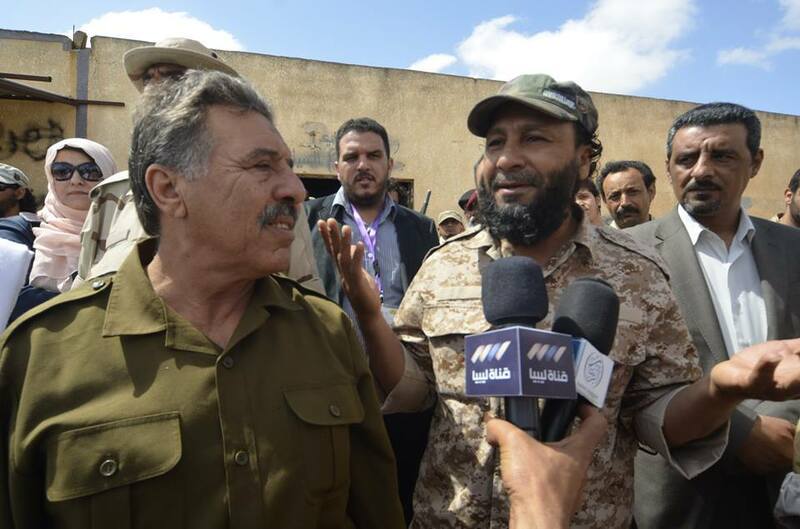 Khalifa Hftar is fighting ‘Misratah militias in Benghazi’: a declaration of war on the ‘Muslim Brotherhood’ Turkish presence in Libya. 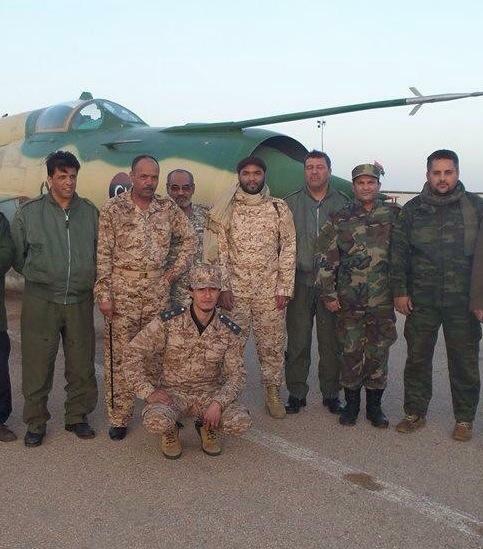 And the Libyan Airforce vertical plane bombed ..
A tank explosion at the rats “Shura (‘al -Qaeda’) Council”, during maintenance Vialmiina. The blast killed “Abdel Razek Bouchtoh”, and wounded several others of their elements. 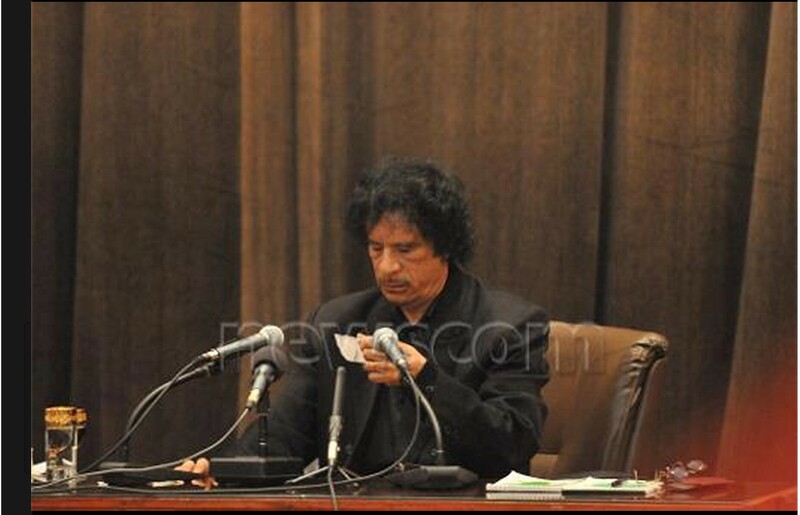 Since 14 months from the light part and it confirms the choice of ‘Saif al-Islam Muammar Gaddafi’ as ‘Secretary-General of the Conference’. And to all of the constituent statement ..
20 of 2015 the month of light … founding statement .. Shooting in the neighborhood of ‘Kafi Island’, has led to the injury of one of the citizens (shot Verde). 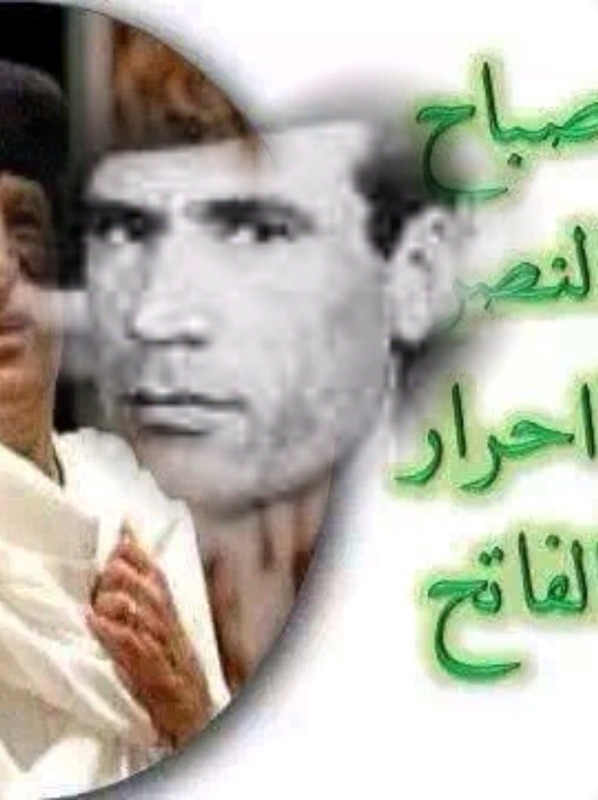 1 __ ‘Muammar Gaddafi al-Dlao al-Omla’ of Kaptn Ttiyar. 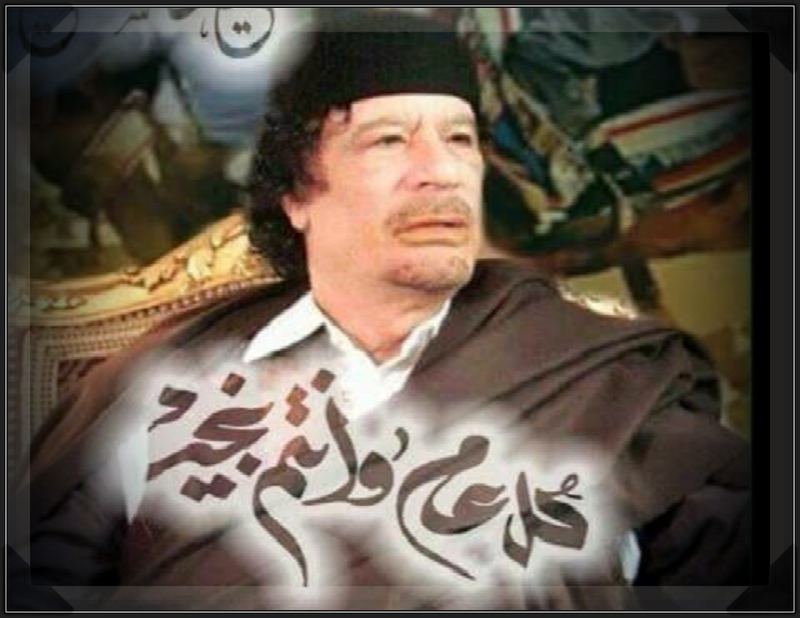 2 __ ‘Sultan Abdul Hakim the serious Gaddafi’ of Kaptn Ttiyar. Languages ​​suffer a tragic situation from a lack of food, medicines and fuel. Please share this to let people know. came the ultimate spark: when the government decided to raise the price of the Petroleum products (which affected the prices of everything in the country, and this affected mostly the poor people of Yemen) and this could not be tolerated for the poor. 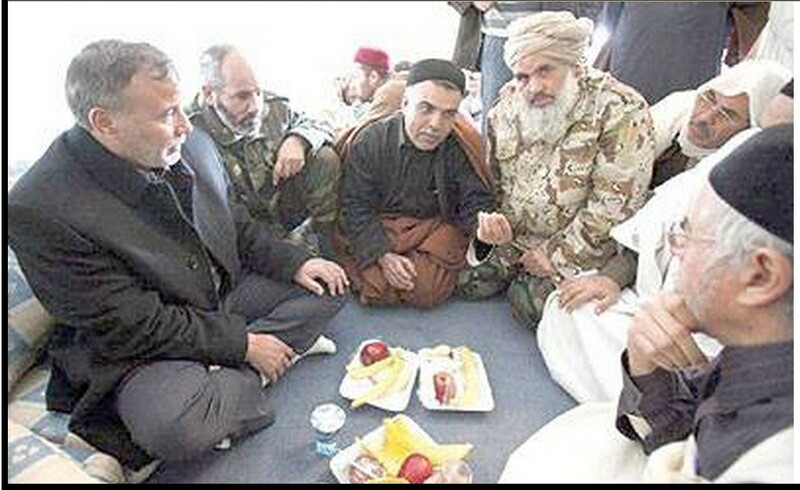 Sayyed Abdul-Malek al-Houthi, took the lead with the popular protests against this puppet-government, which led to this situation. On Sunday, o3 Aug. 2014, Sayyed Abdul-Malek al-Houthi spoke to the ‘Masses of the people’ through ‘al-Masirah TV’. and also to protest, with Palestine and Gaza, which where facing an aggression at that time. He said, if the government didn’t respond with people, then all legitimate options are available, and everything legitimate we must do against the puppet-government as possible. The Yemeni people, of many different sects and tribes, responded to the call of Sayyed Abdul-Malek al-Houthi, and went out on a really large demonstration in Sanaa, Taiz, Sada, Dhamar, Hajja, and many other provinces, warning the puppet-goverment. After about 13 days from the ‘Monday of Warning’, and after the government didn’t respond at all, on Sunday 17 Aug. 2014, Sayyed Abdul-Malek called for large demonstrations, and called ‘the masses of the Revolutionary people’ to go towards the capital Sana’a from everywhere. Sayyed Abdul-Malek al-Houthi named this step: “The first stage of the Revolutionary Escalation”, which would be followed by more painful stages and steps. 1- Reducing the prices of the Petroleum products. 3- Implementing the National Dialogue. On the next day, many tents opened in the 3 entrances of Sana’a; and thousands of people, from many provinces, headed there. In this speech, Sayyed Abdul-Malek al-Houthi warned the government from attacking the peaceful people, or the ‘Revolutionary forces’ would defend the people, and all options were available to us, as we will not stand idly by. “The stage will end next Friday”, he said. the leader, Sayyed Abdul-Malek al-Houthi spoke in a new speech, to the ‘masses of the Revolutionary people’, taking them to the 2nd stage of the “Revolutionary Escalation”. This stage contained new steps to open new tents inside the capital of Sana’a, near the important ministries, to let them hear the voice of the people. In this stage, the 10 countries of (Saudi, America, France and many other countries) sent a message to ‘Ansar-Allah’ and to Sayyed Abdul-Malek al-Houthi, asking him to stop these protests. Sayyed Abdul-Malek al-Houthi, ‘Ansar-Allah’ and ‘the Revolutionary people’ didn’t respond to the foreigner’s message; instead, they said: This is an internal issue, Amercia and Saudi and other countries are not allowed (or right) to tell us to stop (and what to do). It was ‘Civil disobedience’, but of an advanced type. if the government didn’t respond, we would jump to a crucial (final step). The 3rd step of the ‘Civil disobedience’ started with the advanced stages, by blocking traffic from the important streets in the capital for 2 to 4 to 6 hours a day, for 3 days…. In the last stage, the Saudi loyal military leader, Ali Mohsen al-Ahmar, attacked the peaceful ‘Revolutionary people’ inside the capital of Sana’a, and killed about 14 persons in a bloody day. 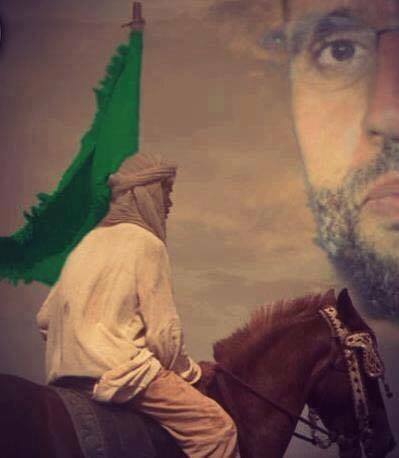 As I told you, Sayyed Abdul-Malek al-Houthi has warned them not to attack people, or we would defend them. So, the ‘Revolutionary forces’ decided to attack Ali Mohsen, in order to stop him from killing the peaceful demonstrators. In about 3 days, the ‘Revolutionary forces’ were surrounding the capital, and on the day of 21 Sept. 2015, the ‘Revolutionary forces’ ( in just a matter of hours) took control of the base of Ali Mohsen (which was Yemen’s largest obstacle, as the base supported the corruption and injustice). After that, the ‘Revolutionary forces’ signed a document, with all the various political factions, to reduce the price of the petroleum products, and to change to a people’s government (instead of the given puppet), and to start implementing the National Dialogue. This is the story of the ‘Yemeni Revolution’; but, it is still in brief, so there are many details missing, before and after and in between. Note: Palestinians were present along with the ‘Yemeni Revolution’. Here is a video, I (Sharaf Addeen al-Wainani) made it about 2 months ago. It is just a montage showing the events of ‘the Monday of Warning’. Title: “Our people have announced the Great Mobilization”. A Yemeni traditional anthem (song) in the 1st anniversary of the Yemeni Revolution of 21/sep./2014. This is just yesterday, I tried to translate it to English. Place: Bab Al-Yemen, Old Sana’a, Yemen. New scenes from Qamar village in al-Khuba of Jizan. More than 20 destroyed vehicle and tank of American made (Aprams, Bradly .. etc). These armored vehicles has been destroyed by the simple arms of the Yemeni forces. Nothing hard when the oppressed people decide to defend themselves, and Allah will support them. >> Photos by: Abdullah Naji. Inside “Qamar” village in al-Khuba, the Yemeni forces destroying Saudi tanks and vehicles, and capturing another one. Watch the clashes between the houses. Watch bombing an arms store in “Qawwa” composite. The ‘Yemeni Army’ and ‘People’s Committees’ taking control of Qamar village and Qawwa composite after destroying many vehicles. Watch the Yemeni forces capturing an armored vehicle. Watch the Yemeni forces shooting near the Saudi soldiers without killing them to force them to leave their bases. Watch the clashes from very close region. 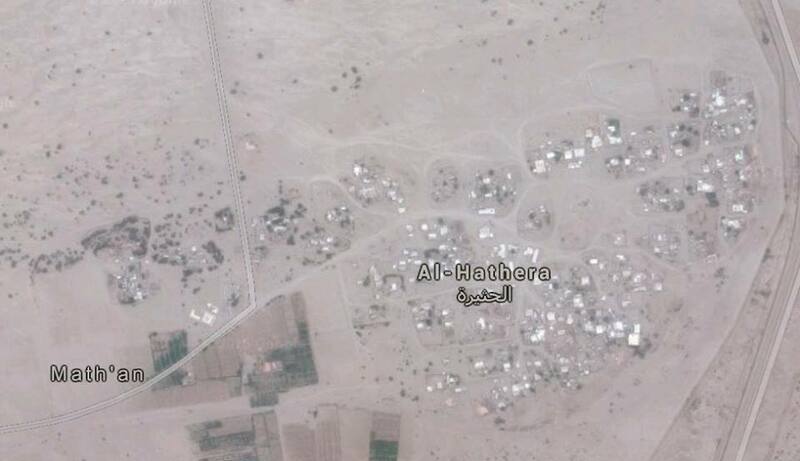 “al-Hathera” under the control of ‘Yemeni Army’ and ‘Popular Committees’, and the advancing continues. 4 vehicles destroyed among the operation. as the greatest leader in the world for 2015. Stampede near Mecca, killed more than a thousand and two hundred and seventy-one pilgrims (as of this writing), and hundreds of wounded near the scene of the stoning ritual in the holy sites. 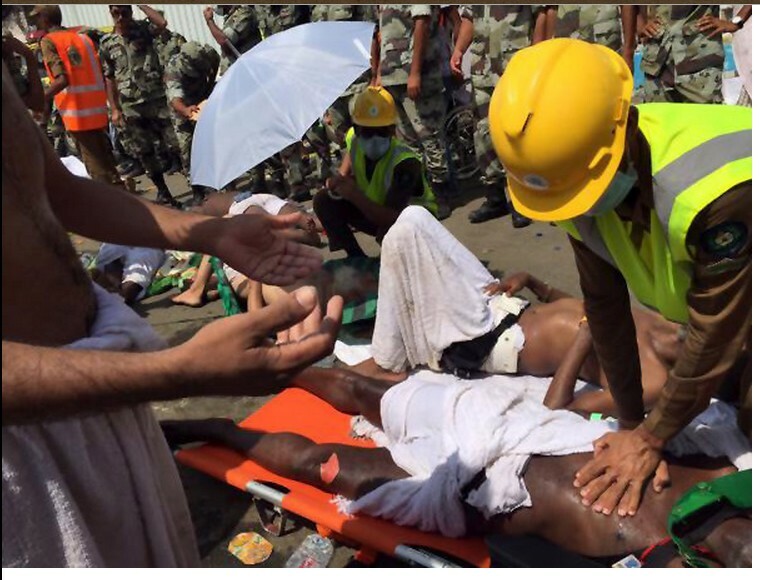 and over 400 were injured, in a stampede near Mecca, Saudi Arabia, on Thursday. 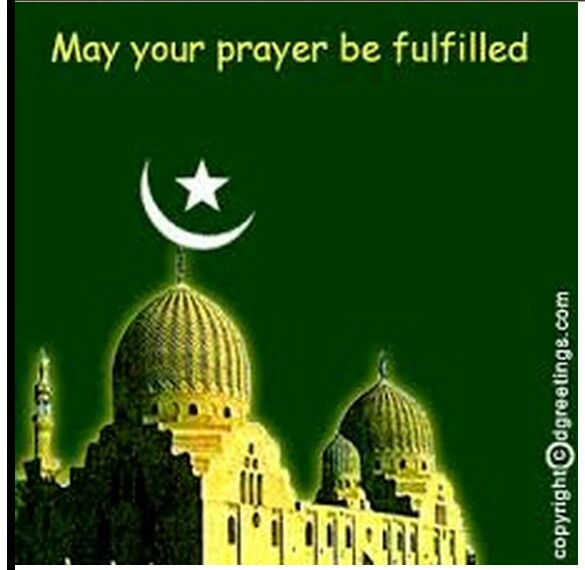 The deaths occurred on the first day of Eid al-Adha, one of the holiest holidays in the Muslim calendar, and as millions of Muslims were making their pilgrimage, or hajj, to Mecca. Saudi civil defense authorities confirmed the deaths on Twitter and said that two medical centers had been opened in Mina to treat the injured. More than 4,000 emergency workers were sent to the scene, and hundreds of people were taken to four hospitals. The stampede occurred less than two weeks after a large construction crane toppled and crashed into the Grand Mosque in Mecca, killing at least 111 people and injuring 394 others. 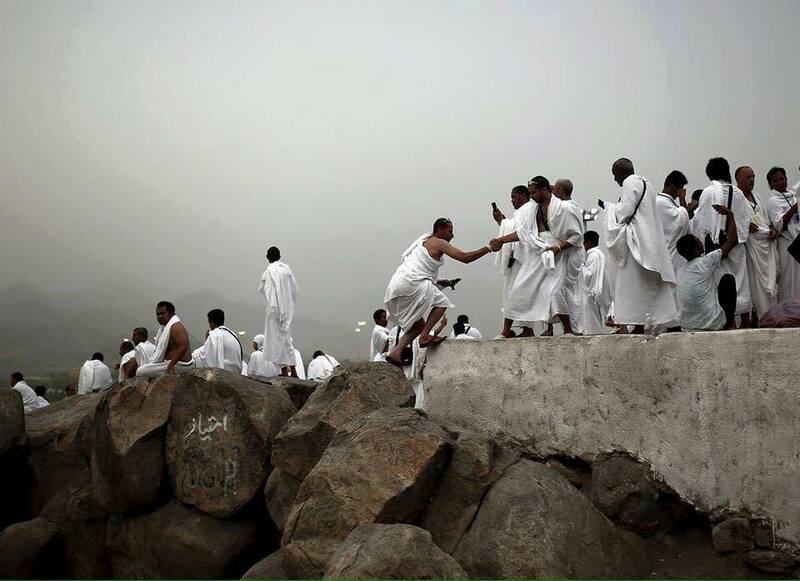 The accident on Thursday, witnesses reported on social media, occurred around the area where pilgrims go to perform a ritual — the Stoning of the Devil, a re-enactment of a story from the Qur’an involving the Prophet Abraham — that takes place during the hajj. Mina, about six miles east of the city center of Mecca, provides temporary accommodation — with tens of thousands of air-conditioned tents — for many of the more than two million pilgrims who make the hajj to circumnavigate the Kaaba, which sits at the center of the Grand Mosque. As the global middle-class grows, so has the number of Muslims making the annual pilgrimage, placing increasing strain on the Saudi authorities. Thursday’s stampede is likely to intensify fears that the kingdom does not have the transportation and public safety infrastructure to channel and protect what is the world’s largest regular human migration. Mina has been the site of multiple deadly accidents over the years, according to The Associated Press. In 2006, a stampede there claimed more than 360 lives on the eve of the hajj, and a day earlier, an eight-story building near the Grand Mosque collapsed, killing at least 73 people. In 2001, a stampede in Mina killed around 35 people; in 1998, about 180 pilgrims were trampled there after several of them fell off an overpass during the stoning ritual; in 1997, at least 340 pilgrims were killed in a fire in Mina set off by high winds; in 1994, about 270 were killed in a stampede there. Ben Hubbard reported from Beirut, and Mona Boshnaq from London. IS SOMEOME(S) PURPOSELY TRYING TO RID our world OF MUSLIMS? The massacre of the holy sites !!! who is in Charge ?? What’s the solution ?? We believe in fatalism, as we believe the will of Allah Almighty, but we also believe that the repetition of such disasters, is downright proof of a lack of efficiency of the supervisors on the organization of the pilgrimage season, from the top of the Saudi top of the pyramid, and even the smallest soldier passage. Download pilgrims responsibility for this disaster by accusing them of ignorance, or lack of discipline, by some al-Aatmaran to the Saudi government, and its security, administrative, and defenders imaginable and their inability, lack of efficiency of its officials “insult”, no less dangerous than the disaster itself. Such excuses and justifications are those that have made repeated every few years amid a state of apathy and lack of conscience, and the death of thousands of innocent pilgrims. Hajj seasons turned into obsession and a source of concern and fear for the pilgrims and their families because of the recurrence of such disasters, and the absence of any real guarantee the return of these or some of them safely to their home countries, after performing Arbthm. and we’re not talking here about the fires, and the spread of disease, and poor services. The Saudi government said it had mobilized more than thirty thousand troops, and tens of thousands of civil defense men to secure the Hajj season of any acts of terrorism. To be surprised that today’s victims were killed as a result of a terrorist act more dangerous, a bad management, organization and neglect. 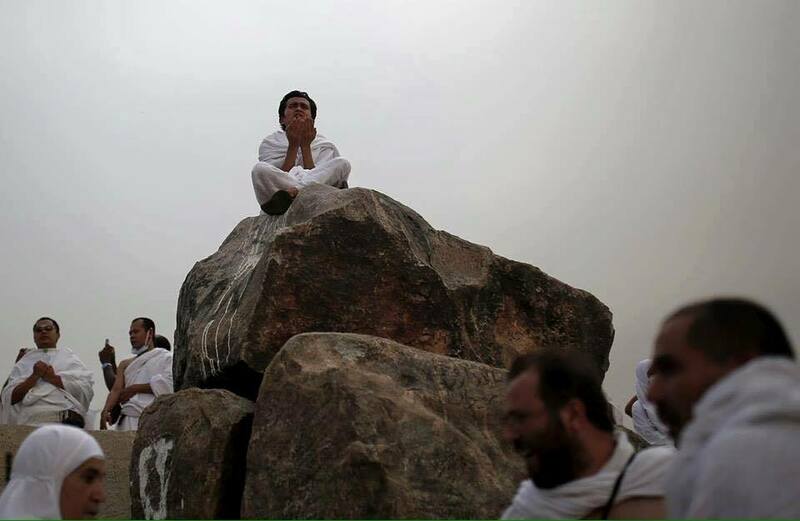 Some justifications that prevailed on the lips of officials, or Aatmarien in social media, or on television, focused on the essential point says not to acquire Saudi authorities (who have the necessary experience in “crowd management”) in light of more than two million pilgrims flocked to the emotions, and the stone-throwing ritual at once . It’s “State of Denial” unprecedented and unacceptable justifications, and unconvincing at the same time, if the Saudi authorities after more than eighty years of supervising the pilgrimage seasons, do not have sufficient experience in crowd management, if it is owned? If that is the case, why Muslims and foreign experts did not bring in experts to do the job, which owns an army of them, in various other fields, as well as to those pilgrims and visitors to the holy places. Idron’s annual income on Treasury Arabia estimated 8.5 billion countries, according to official data. In the whole world there are sports games, and Arts Festival, and religious celebrations, frequented by hundreds of thousands of devotees, entering the stadiums and arenas, at one time, and leaving a facility at a specific time, and such disasters occur only in rare, so why are not hiring those who oversee the the organization of these games and festivals? And why are not sent engineers and administrators to study abroad this science among the sons of the country? There are thousands of young Saudis, who are intelligent and qualified for this task; or, what is the biggest of them? Princes and public at the same time. The answer is neglect, indifference, and lack of good governance, and arrogance, and lack of accountability, and investigations-transparent. To weep these tragedies under the rug, with deficitency and denial every time they happen, because those responsible for them, are very often the princes of the ruling family, directly or indirectly. and we demand to achieve a serious and scientific transparency, to know all the facts, and to hold accountable all those responsible. Whether lost rash agent, and the overwhelming majority of Muslims, if not all, it is time that these disasters stop entirely, and that the pilgrimage season and our feelings about the Pilgrimage, are turned into a safe place. This entry was posted in Actualités et politique, History, Mankind and tagged al-JUFRA, bani walid, CENTRAL REGION, CITY OF FIVE, Cyrenaica, EID, Green Nafusa Western Mountains, MECCA, Mu''ammar al-Qathafi, Pilgrimage, RUSSIA, SAUDI ARABIA, SOUTH LIBYA, Syria, TRIPOLI, Yemen. Bookmark the permalink.